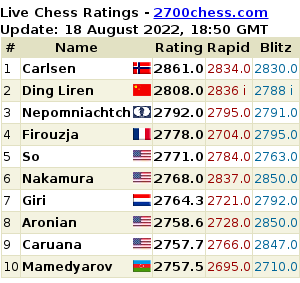 An entire team of trainers has been working with Sergey Karjakin for quite some time; exactly how many new GMs have joined his team since he became the official world championship challenger will probably remain a mystery right until the end of his match with Carlsen this November. But yesterday in Sochi Karjakin gained a free yet priceless 138-move training game with Vladimir Kramnik. The game was played during the Russian Team Championship, but we shouldn’t attach too much importance to a competition between clubs. The World Champion no doubt followed the battle of the two ‘Ks’ carefully, but was hardly likely to care whether Sibir or ShSM won the match. Karjakin stopped to think here for the first time in the game, and he thought long and hard. 10...Bd7? As is often the case, the quality of the move played doesn’t necessarily reflect the amount of time spent on it. It was much more important to hide the king and to bring the rook into play, which could have been achieved by simply castling: 10...0-0! In this case the idea with 11.b4? no longer works: 11...Bxb4 12.Nxe5 Re8, and Black is better. 11.b4! Bxb4 12.Nxe5 Bc3 13.Rb1? A concession. After 13.Nxd7! Bxa1 14.Nxf6+ gxf6 15.Bf4 (this bishop is worth a rook!) 15...Bb2 16.Nb5 0-0 17.Rb1 Nc4 18.d6 White has excellent play. 13...Bf5 14.Nb5 Bxb1 15.Nc7+ Kd8 16.Nxa8 Bg6 17.Bf4?! 17...Nd7? If 17...Nh5! Kramnik probably didn’t plan to retreat his bishop: 18.d6 Nxf4 19.gxf4, but now after 19...Bd2! 20.f5 Bh5 21.Nc7 White has nothing at best and may encounter difficulties later. 18.Nxd7 Kxd7 19.Bh3+ Ke7 20.d6+ Kf6 21.Nc7 White has now gained a lasting advantage in the endgame, and later in the game it looked like he was sure to win. Black had to play extremely accurately throughout the rest of the game – a seemingly impossible task for a human. Kramnik missed several direct paths to victory; let's take a look at his 61st move. 61.f6? The ex-World Champion advanced his pawn at just the wrong time. He could have kept control over the position with 61.Kg4! 109.Rc5 Essentially, this move sets the last possible trap. 109...Kxf4? Retreating the knight with 109...Ne7 would have maintained a drawn position. 110.Rxc6 Ke3 111.Rg6! That’s the point! The bishop is very cramped and cannot get to the f-file – while the White king can move to с2 and the е2 pawn thus becomes untouchable. 111...Bh8 112.Re6+? He only had to make one final geometric touch: 112.Rg8! Bf6 113.Kc2, and the rest is simple technique. However, by the time the game ended the team from the Russian capital had already made sure of winning the match. Victories were recorded by Ian Nepomniachtchi, who overcame Alexander Grischuk, and Evgeniy Najer, who put Dmitry Jakovenko to the sword. 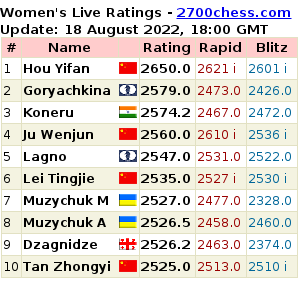 Nepomniachtchi’s play is now gathering momentum, with two wins in a row after crushing Sanan Sjugirov. The Bronze Horseman (Medny Vsadnik) team from St. Petersburg is now leading the table. Siberia (Sibir) and Moscow Chess Team (ShSM) are one point behind.